Everyone loves getting mail, especially young children! If you've never considered getting your preschooler a magazine subscription, take a look at these choices and pick one that you think your little one would like. They'll thank you for it! We've had lots of subscriptions over the years, but these are hands down The Best Magazines For Preschoolers! 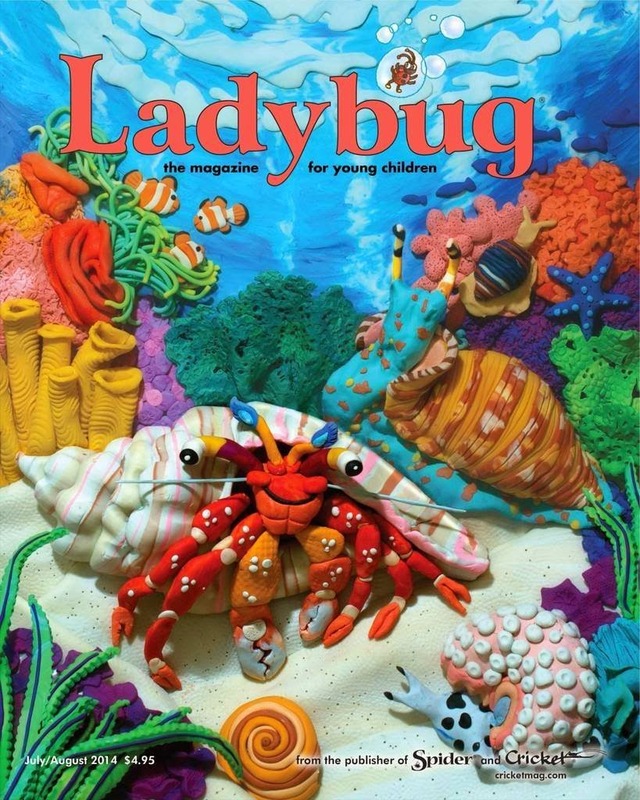 Ladybug is one of the magazines that we subscribe to. It is produced by Cricket Media, and it is very high quality. It is a literature magazine, with stories and poems about a particular (often seasonal) theme. Each issue also has a little song to learn, some simple comics, and a pull-out craft to complete. While it is a bit expensive ($23ish for 9 issues), you can often find a deal for it on Zulily or Groupon. our first year's of subscription was purchased through a deal, but my girls love it so much that I happily paid full price when it was time to renew. Click is published by Cricket Media as well, but is a science magazine. Each issue focuses on a theme and discusses it in a simple, straightforward manner that young children can understand. It uses bright pictures, comics, and stories to teach, and each issue has a little game or activity to complete as well. Like Ladybug, this magazine is more expensive than some of the others on this list, but is top-notch. What a great way to get your preschooler excited about science! When I was in middle school, I had braces. I didn't like going to the orthodontist every month, but I did look forward to getting to sit in the waiting room and look at the Highlights magazines they had! This version is for young children; the publishers suggest age 2-6, but I think the younger end of that range would enjoy it the most. 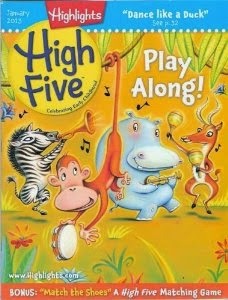 Like it's big brother, Highlights High Five has stories, puzzles, simple games, crafts, and simple cooking projects. This magazine is quite pricey ($35ish for 12 issues, and I've never seen it on sale) but would make a great gift suggestion for grandparents! 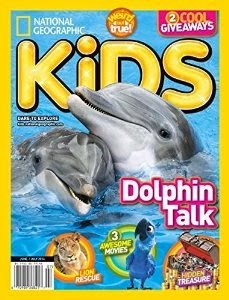 If your child likes animals, these are the magazines for you! Zootles is "officially" for ages 3-6, but it seems a little too simple for that age range to me; I think 2-3 would be more appropriate. 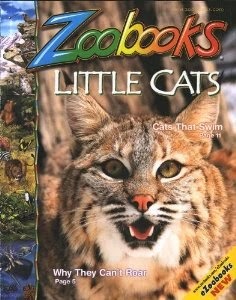 We initially subscribed to Zootles, but quickly switched to Zoobooks, which is suggested for age 6-12. Granted, there are many parts of Zoobooks that are well over the comprehension level of my 4-year-old, but there is plenty that she does understand and enjoy. Also, these magazines are great to hang on to and use as a resource for a long time, so this way we have a little bit of room to grow into them. Each issue is all about a certain animal or group of animals, and tells about their diet, habitat, bodies, predators, and parenting patterns. There are fantastic illustrations and captivating photos to grab your child's attention. One great thing about these magazines is the price! The list price is $30 for 10 issues, but it is very often available for $10 through Groupon. Just check frequently and you'll find it sooner or later! 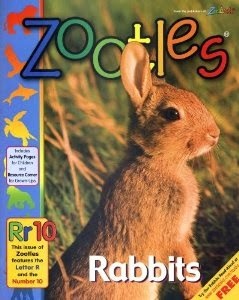 If you start with Zootles you can switch to Zoobooks easily if you think your child is ready. We are huge fans of National Geographic in this house, and have been long time subscribers of the adult version. These 2 versions for children are just as good! While we don't subscribe, Lena loves looking at them when we go to the library. Unlike Zootles and Zoobooks, the focus is not exclusively on animals. There are other interesting and 'worldly' issues as well. 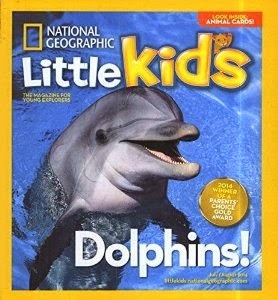 National Geographic Little Kids is suggested for age 3-6, and National Geographic Kids is suggested for age 6-12. Your preschooler is likely right on the cusp of needing one or the other, and may depend on how interested they are in the subject matter and how solid their attention span is. Like many of the other magazines on this list, if you try one and find that it isn't a great fit, you can easily switch to a different version. Do you know of any other magazines for preschoolers that should be on this list? Tell me in the comments below! 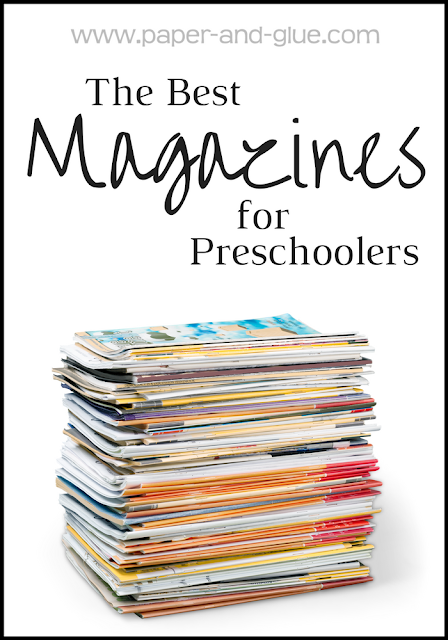 The Best Magazines For Preschoolers- Magazines are GREAT for preschoolers! Consider giving a subscription to one of these great choices for a birthday or Christmas.